The on-demand economy has taken a flogging of late for being bloated with too many startups that aren’t going to last. The leaders of San Francisco-based delivery service Postmates, meanwhile, get super miffed when it gets grouped into the gloomy skepticism being bandied about over the on-demand economy. Just last week, Postmates rolled out a new initiative offering unlimited delivery for $9.99 a month. Typically, a Postmates delivery costs $5, plus extra depending on distance and how many other people are currently requesting deliveries, plus a 9 percent service charge. With the unlimited $9.99 delivery subscription service, that 9 percent commission charge is waived. Deliveries arrive in under an hour and you can order literally 24-7-365. Orders have to be valued at more than $30 to participate. And they have to be from a list of 3,000 retail “Postmates Plus” partners. That list of Plus retail partners is growing, though. But still. That’s pretty amazing. Think about it. A human being will ride a bike (or drive a car or walk or ride a scooter) to a location of your choosing, pick up whatever item you want and bring it to you. And all of this can be coordinated through your smartphone. You could literally be sitting in a meeting at work while a courier picks up a shirt you just bought to deliver it to you. And you can do that all month long -- for $9.99 a month. It sounds like a recipe for bankruptcy. What gives? For starters, Postmates's retail partners are subsidizing the delivery cost. 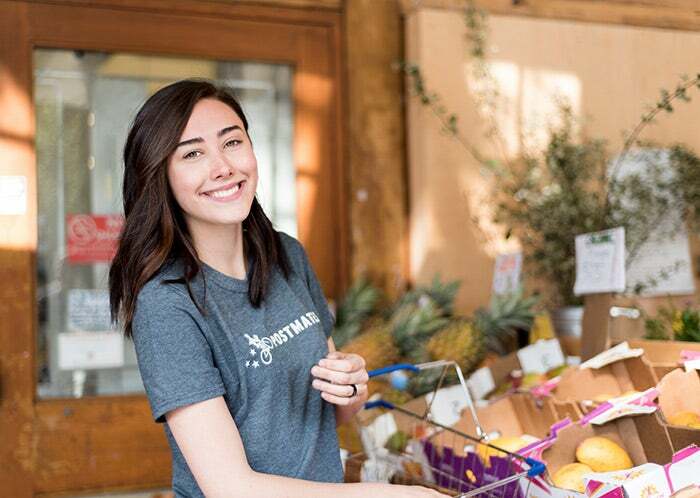 Any retail company that signs up with the Postmates Plus network is paying Postmates between 16 and 30 percent commission on the price of the purchase. The retailers who sign up are banking that they will make up for the payout to Postmates with incrementally more sales. Also, Postmates is not operating on the same boutique delivery scale it once was. The rate of deliveries has been steadily increasing since the company rolled out its first product in early 2012. 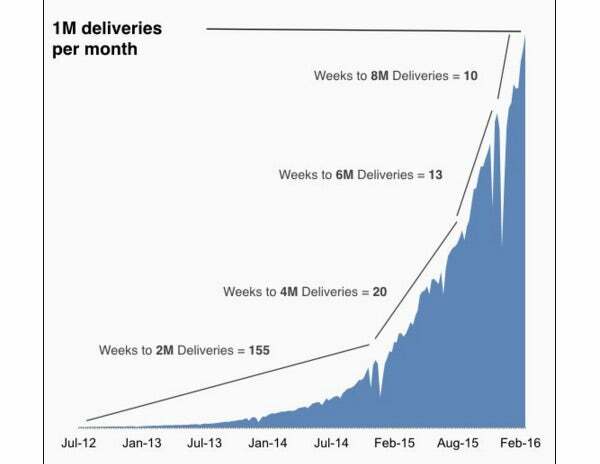 The on-demand delivery service is now clocking 1 million deliveries per month. It can afford slimmer margins on the back of higher volume. The third piece of this puzzle is that Postmates can afford to operate on much thinner margins with its Postmates Plus subscription service because its core product, anything-from-anywhere delivery, is much more expensive and turns much higher profit margins for the company. The average non-subscription Postmates delivery charge is anywhere north of $8, plus the 9 percent service fee, says Schaefer. That premium delivery service accounts for 70 percent of the Postmates business. The expensive, high-margin product that Postmates launched with, though, won’t allow the delivery startup to grow. “You can continue to have a narrow product where you make a lot of money, but there is only so many customers who are willing to and can afford to pay $8 or $9 for a delivery," says Schaefer. "That’s also not who we want to be as a company. We don’t want to be a luxury product. We want to be a utility. We want to be a service that everyone can use. Ultimately, scale gives Postmates more leverage in negotiating with retail partners down the line, too." Finally, Postmates has first mover advantage. It has at least a year on other on-demand startups. In a business where every minute counts, a head start in fine tuning fleet delivery operations makes a difference. Since the company’s launch in May 2011, Postmates has raised almost $140 million in eight rounds of fundraising. It’s on track to be profitable in 2017. Part of what’s driving the Postmates team is a bit of defiance, too.